In response to media inquiries and FlushDraw’s extensive report on the fallout between Lock Poker and the Revolution Gaming Network, Lock Poker spokesman Shane Bridges has sent a response to FlushDraw indicating that the beleaguered online site plans to go forward with legal action of some form against Revolution and parent entities IAA Services Ltd. and/or BTG Global N.V., once all parties have been identified. 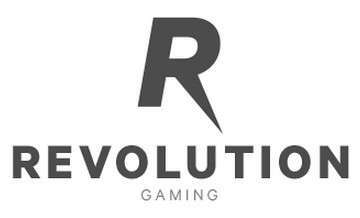 At issue is an alleged player hijacking attempt by Revolution using a placeholder skin, Pure Poker, that was set up to receive player login requests from Lock Poker customers who attempted to connect to Revolution to play, perhaps unaware that Lock departed Revolution amid messy circumstances and has relaunched itself as LockPoker 2.0 as a standalone entity. Lock’s departure from Revolution stands separate from Lock’s own failure to pay an immense backlog of worldwide player withdrawal requests, though the fingerpointing as to who’s to blame between Lock and Revolution continues unabated on both sides. Over $400,000 in long-term, unpaid withdrawal requests continues to be documented by a single player keeping track on the 2+2 discussion forums, and it’s possible several millions in again withdrawal requests have gone unpaid by Lock. That piece also indicated that Lock had filed, on October 20th, a formal Dispute Resolution Process with the Curacao regulatory authorities supposedly in charge of overseeing both Revolution Gaming and Lock Poker itself. However, the Curacao Gaming Commission and its online offshoot, the Curacao Internet Gaming Association (CIGA), are generally regarded within the online gaming industry as easily obtainable, rubber-stamp regulators of little regard and inconsequential regulatory reach. In other words, Lock itself may find its hopes of securing a claim for the financial damages it alleges every bit as difficult as Lock’s own players have been in finding a jurisdiction that will address their complaints. “In any Court action the very first step is to properly identify all the proper and necessary parties. This process in turn will then lead to a determination of the proper forum within which to bring a claim as there must be some real and substantial connection between the forum and the defendant or the forum and the subject matter of the dispute. I do anticipate that we will be bringing a civil action as against the CEO of the Revolution Network personally, as well as against BTG Global N.V. and, there may be more defendants as our investigations progress. Once we confirm who all the defendants are we can determine where the Court action should be commenced. “The Revolution Network CEO has been making untrue and defamatory statements about Lock – specifically alleging that it has failed to make player transfer payments – for some time now. We are confident that ultimately these statements will also be exposed as lies and an attempt to cover up the actions taken by the network operator – specifically the misuse of player funds. “I can confirm that a formal complaint regarding the conduct of Pure Poker and the Revolution Network has been made to the licensing authority in Curacao – as they license IAA Services Ltd. – and we understand their Compliance Department has an investigation ongoing at this time. Revolution (being IAA Services Ltd.), has claimed to us in writing that ‘The site in question is not operated by the network.’ However, as you note in your article this is simply not true. FlushDraw has been promised a copy of any formal legal claim filed by Lock Poker against Revolution, whether in Curacao or elsewhere. FlushDraw is also working to verify the identity of the “Revolution Network CEO” blind-referenced by Bridges in his statement, in addition to providing an expanded list of corporate and online entities connected to Revolution Gaming, Pure Poker and BTG Global. One earlier Bridges statement widely published on poker forums mentioned “Pure Play,” a separate entity wholly unconnected to the Revolution Network mudslinging; Pure Play has no connection to the Lock/Revolution situation.